MOOWES, an NGO for women entrepreneurs is organising a sale for its members. Salwars & kurtis, sarees, jewellery, home décor, bags, dupattas, pickles, home-made podis and more. On till Feb 3, 10.30 a.m. At C. P. Art Center (mini halls) Alwarpet. Ph: 9884499237. Dama presents exhibition of cotton handlooms from Telangana and Andhra Pradesh. 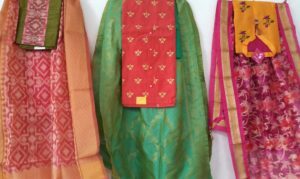 Featuring sarees, fabrics, dupattas and stoles in a variety of colours and textures. Each fabric is hand woven. Feb 6 – 8, 10.30 am. At C. P. Art Centre, Alwarpet. CK’s Bakery is introducing Classic Pink Velvet Cake incorporated with the flavour combinations of rose and strawberry. Priced at Rs. 488. From Feb 1. At CK’s Bakery, Mylapore/ R. A. Puram. Ph: 7823948904. Hosted by ‘By Hand from the Heart’, featuring 38 designer-makers, artisanal and creative entrepreneurs in the category of art and craft, lifestyle, fashion and gastronomy. On Feb 8 & 9, 10 a.m. At Crowne Plaza Hotel, Alwarpet. Open to all. Interactive workshop to get useful tips and strategies on how to crack the interview. Workshop for freshers on Feb 2 & 3, 10 a.m. For experienced people – on Feb 9 &10, 10 a.m.
At Empower Learning Solutions, 3rd Street, Abhiramapuram. Ph: 6379679873. Fee: Rs. 2500. Learn wholesome eggless cakes, teacakes and muffins from scratch. By Shivangi Dhaga of Sweet Nothings. Taught from scratch. On Feb 4, 11.30 a.m. At Nithyashri Apartment, Flat 6C. 51 Chamiers Road. 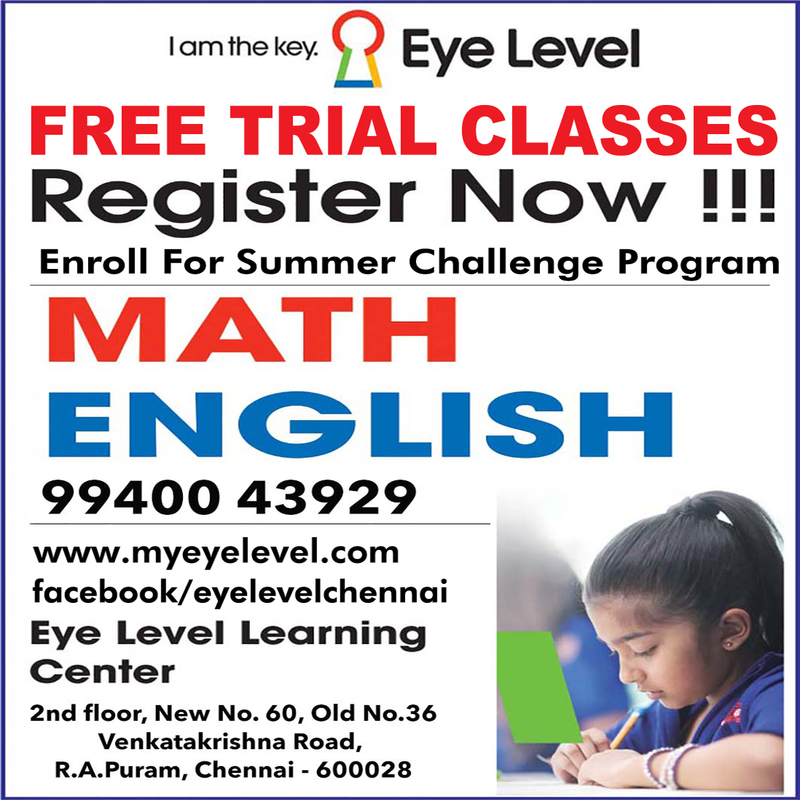 Call 9840713199 to register. Fee: Rs. 2250. Comprehensive cognitive development chess training program for children in age group of 5 to 14. Organised by Emmanuel Chess Centre. Year long program. On Feb 7, Tuesdays, Thursdays, Fridays, Saturdays, 6 p.m. At Russian Centre, Alwarpet. Ph: 9940076832. Warhorse presents ‘Writing 101’, a writing workshop for children in age group of 10 to 15 years. Course covers fundamentals of writing process. Every Sunday for 6 weeks. 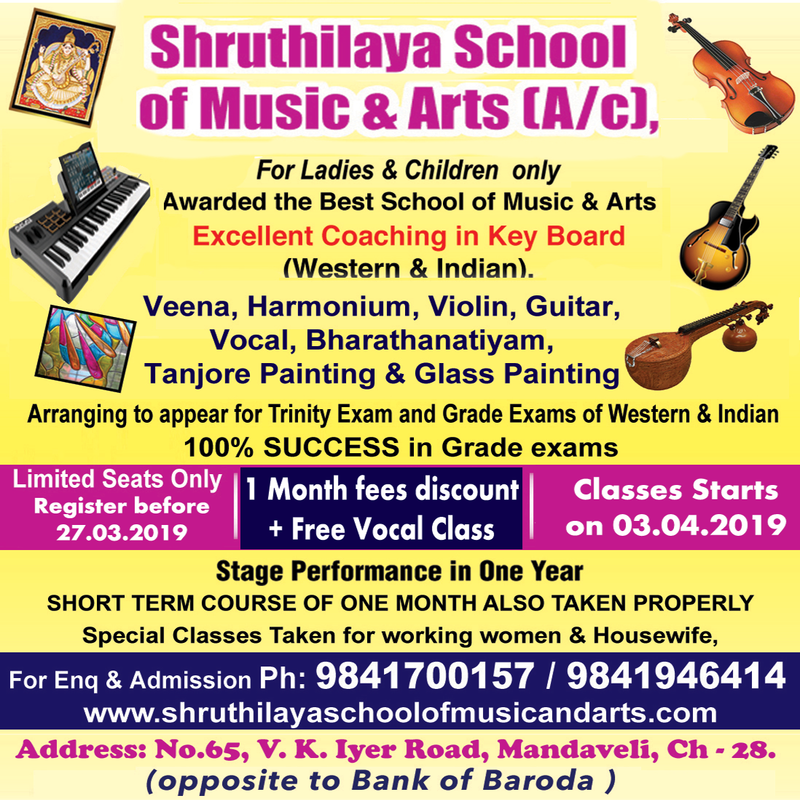 On Feb 3, 4.15 p.m. At The Stables, 21-A, School View Road, R.A Puram. Ph: 9566170031. Fee: Rs. 4800. Evam presents ‘Second Decoction’ Tester show by Karthik Kumar. On Feb 3, 7.30 p.m. At Savera Hotel, Mylapore. Ticketed event. ‘Mr. Family Man’, a standup comedy by Praveen Kumar. On Feb 3, 7 p.m. At Rasika Ranjani Sabha, Sundareswarar Street, Mylapore. Ph: 24641767. Ticketed event. For all ages. O2 Health Studio presents ‘Car Rally for the Blind’ in association with National Association of Blind. A visually challenged person guides the abled driver using the route map created by the organisers – this map is in Braille. On Feb 3, 9 a.m. At Savera Hotel, Mylapore. Register now. Ph: 9710947355. Pumpkin Tales collaborates with Michelin Star chef Alfred Prasad for a long table dining experience with a five-course meal, at the launch of a new party venue. All net proceeds will be donated to charity. On Feb 7, 7 p.m. At Bheemanna Garden Street, Alwarpet, Ph: 9841507557 / 24995510. Picture book for children – ‘Big Rain’ – with book’s author Gayathri Bashi. Her message – if you look after nature, nature will look after you. On Feb 11 a.m. At Tulika Bookstore, TTK Road, Alwarpet. Open to all above 4 years. Ph: 9884981271. By Janaki Sabesh, story-teller and performer. On Feb 2, 4.20 p.m. At Sahanas – Live the Dream, 2, Flat No.5, Sukha Sadhanam Flats, Papanasam Sivam Salai, Mylapore. Ph: 9486251761. Paid event.